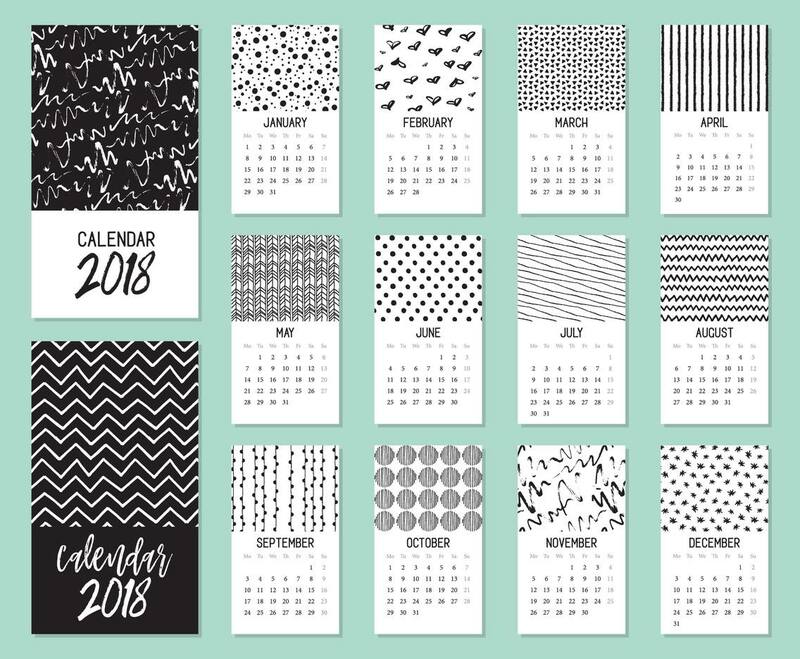 Modern abstract calendar 2018 hand drawn vector template with black ink textures and patterns. Included 2 covers. Week starts Monday.